Skysource’s WEDEW has been named finalist for Fast Company’s World Changing Ideas Awards. We are honored to be nominated for “General Excellence” and “Developing-World Technology”. Southern California Institute of Architecture spoked with Skysource’s David Hertz about the Water Abundance XPRIZE and Skysource’s plans to address global and local issues of water scarcity and water quality. 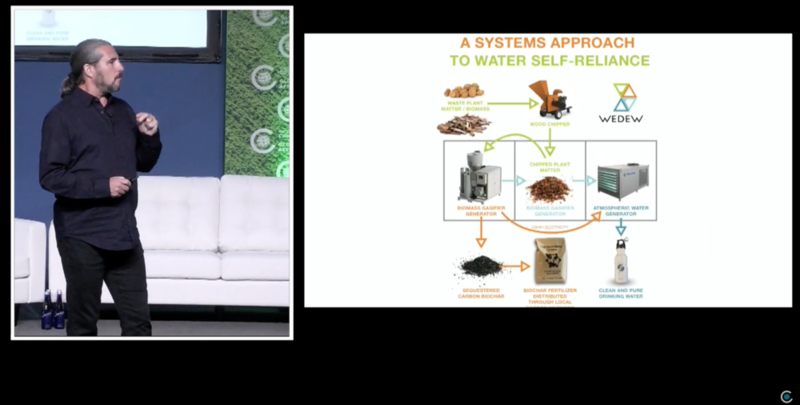 Skysource's David Hertz gave his flash talk at The Global Food Security Symposium 2019 in Washington DC, and you can watch it from the link below. Thank you Chicago Council on Global Affairs for having us! Here's a little sneak peek into the lives of our Co-Founders, David Hertz and Laura Doss-Hertz who have made it their mission to bring clean water made from air to those in most need. Enjoy! The core focus of the Panel was the commitment to ensure availability and sustainable management of water and sanitation for all, Sustainable Development Goal (SDG) 6, as well as to contribute to the achievement of the other SDGs that rely on the development and management of water resources.